ReplyManager: Why Don't I See a Reply Button? Why Don't I See a Reply Button? A common question from new ReplyManager customers comes from not being able to respond to emails because the "Reply" button doesn't appear when opening a message. More often than not, this happens when a step in the setup up process has been overlooked. Here are a few guidelines to help you trouble shoot and and fix the issue. 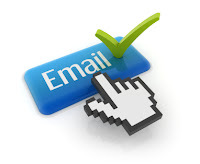 In order to reply to an email from ReplyManager, you must have a valid "from" email address associated with the folder. Check your folder setup (Maintenance > Folders) and make sure you have a “From” email address entered in the appropriate field. Although eBay does not need a "from" address in order to send a reply, ReplyManager's formatting does require one. If you plan to send an email from the folder, go to Maintenance > Folders and make sure you have a valid "from" address assigned to the folder. don’t see a reply button, look at the “From” of the email to determine where it came from. It may be a system message/notification that does not accept replies. If the item is no longer listed or the end date has expired, you will not be able to send an additional message through the API.